Police say an unidentified man with a bottle stole a car in the Burgerville drive-thru on March 19. 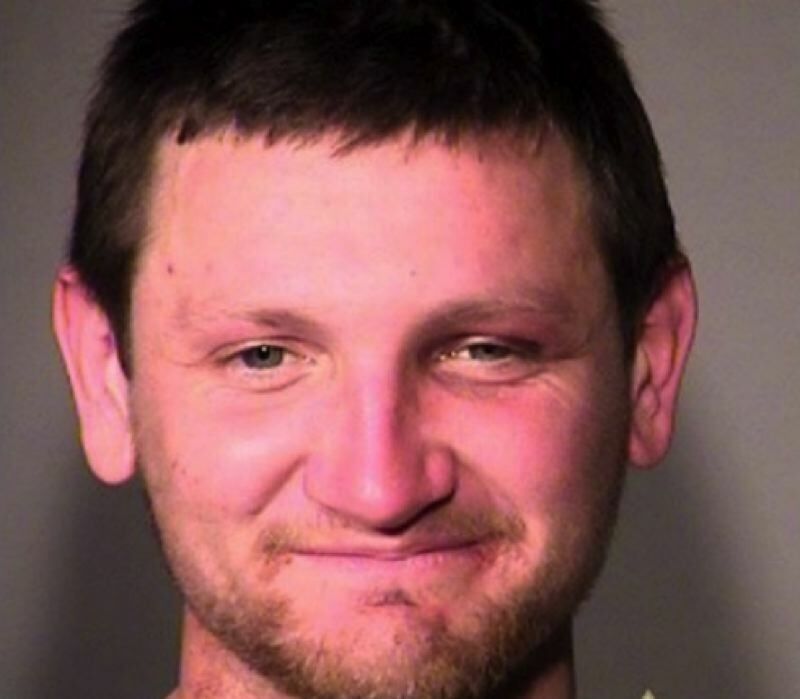 UPDATE: Portland police identified the man on Wednesday as 25-year-old Robin Sanford Bay. A man whose identity remains unknown has been arrested for alleged carjacking in Southeast Portland, police say. Officers say a male motorist was puttering through the Burgerville drive-thru located at Southeast 12th Avenue and Hawthorne Street around 11:38 a.m. on Tuesday, March 19 when he was approached by another man who threatened him. "The suspect demanded the victim's vehicle upon threat of injury with a bottle," according to a news release. "The suspect drove off in the victim's vehicle, a green Ford Ranger. The victim was not injured." Police say a 9-1-1 call arrived at 12:02 p.m. regarding a truck blocking a driveway in the 600 block of Southeast Cesar Chavez Boulevard. Police determined it was the stolen truck and hurried to the scene, where they were flagged down by a witness who apparently told them a pedestrian had their cell phone stolen by a person resembling the suspect in the carjacking. Police are asking that the victim in this robbery contact the police. The Portland Police Bureau says they finally caught up with the alleged carjacker — known only to police as "John Doe" — in the 4400 block of Northeast Glisan Street. Doe is booked at the downtown jail on charges of first-degree robbery and unlawful use of a motor vehicle at this time.